Years have passed since the great miracle atop Mount Aida - a miracle known as the Covenant of Avelyn. Corona is a different place. Avelyn is about to be elevated to sainthood by the very church that once proclaimed him a heretic. And King Danube has asked Jilseponie Wyndon - the outlaw hero of the Demon War - to become his queen. Yet a threat looms, one Jilseponie never could have anticipated. For the child that she lost never died, as she believes, but was stolen away by the queen of the elves. 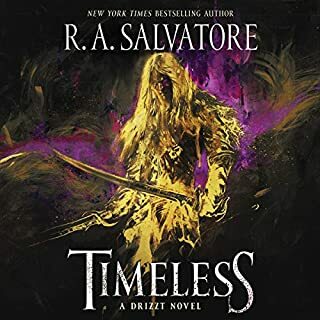 Raised in secret by the queen, he has grown to be a headstrong boy who shows every promise of being as skilled in the arts of combat as his father before him and as powerful with the gemstone magic as his mother. They called him Aydrian. Aydrian: a boy raised to be a weapon. A boy who has never known the love of a human mother. A boy so hungry for fame and the sound of his name on human tongues that he will pay any price for a chance to wrest immortality from an uncaring world. Aydrian: a boy on a collision course with destiny! 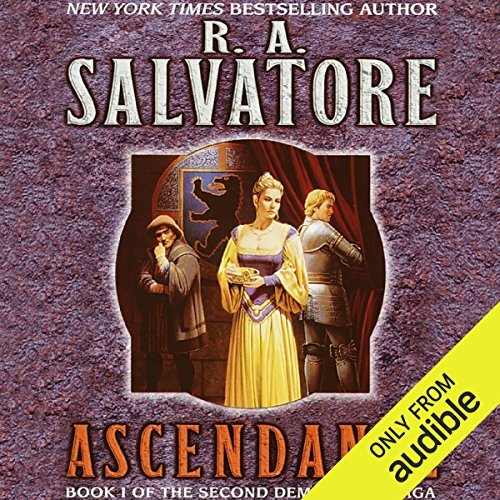 ©2001 R. A. Salvatore (P)2016 Audible, Inc. 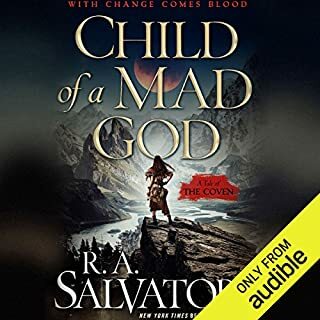 This book or series is Epic and R.A. at his best !!! and can't wait to see what happens in the next book! What is it with the Elvish?! 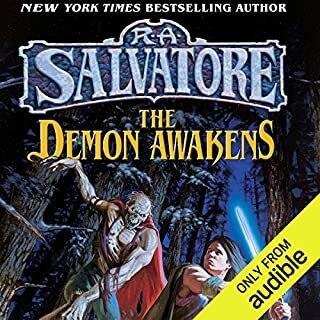 Since this is both a continuation of the Demon Wars Saga and the start of 'The Next Generation' so to speak, R. A. Salvatore's first third of the story was heavily layered with many recountings of the important events in Saga Pt. 1. This is somewhat understandable since anyone deciding to skip Pt. 1 would really need at least some understanding of what came before it. Still for those who have listened/read Pt. 1, the numerous recountings tended to drag the beginning of the new story arc like a boat's anchor left dragging on the floor bed. 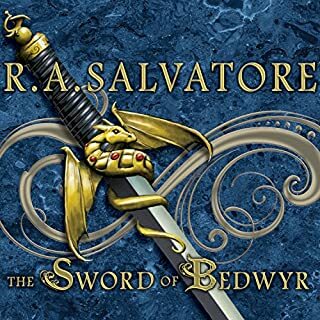 I couldn't help noting the similarities between the twisting of Aydrian and that of Tyrion in Michael G. Manning's chilling Mageborn saga by the elvish-kin. Although even Aydrian's most vile actions so far pale to some of the disturbing things Tyrion performed after his twisting at the hands of the She'Har. 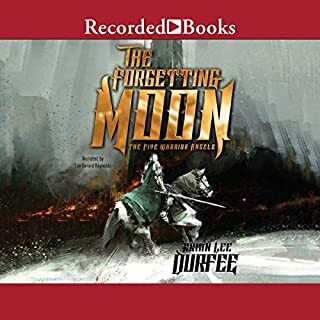 This novel is a must-listen for those who enjoy well-written fantasy, whether they have read Pt 1 or not and, at the sake of being accused of hypocrisy, I find myself retelling of the absolute joy in listening to another Tim Gerard Reynolds performance. 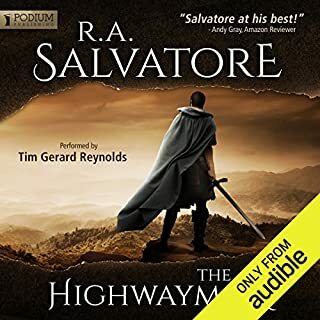 Would you listen to another book narrated by Tim Gerard Reynolds?